I love to read. Scratch that. I loved to read. Past tense. Now, I rarely have the time to a) research a book b) go out and buy it and c) sit down and read it. I feel like the only time I’ve read a novel in the last year was on the beach, nearly a full year ago. When I got the opportunity to review the Kobo Aura, I was thrilled! Now I NEEDED to read. I had to find the time, for the review, of course. J Luckily, we were just about to head to the Dominican Republic for a much needed winter vacation so I KNEW I'd be able to make the time. I was impressed as soon as I opened the box. The Aura is about double the size of an iphone, and just about as light. That is, it’s super light. Definitely lighter than a book. The screen is an impressive 6”. Powering on and connecting to wifi was simple. You can search for books directly on the unit or create an account online. I personally prefer to search online and then sync the device (which is also very simple). What surprised me the most is that the Kobo actually reads like a book! The screen is not bright at all and actually resembles pages of a novel. (There is an LED light if you’re reading at night). 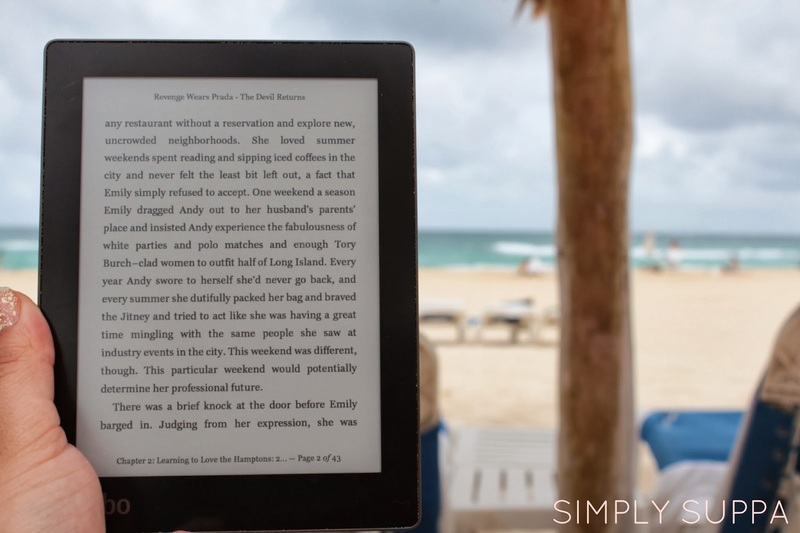 The new Pearl E Ink technology means there isn’t a terrible glare and you can actually read it outdoors. If you’re comparing it to a tablet, it’s very different. This model is black and white only, but that didn’t bother me, as all my books are too. There aren’t too many features either, but that’s not what it’s for. It’s a book, an electronic book. Simple as that. I’m new to the entire e-reading world, but have quickly learned Kobo apps are great. You can sync your account on all your devices, so you can continue reading on your phone, ipad or tablet and Kobo reader. What I like best is that it’s lightweight, and can slip into my purse without weighing it down (I already carry way too much). And travelling with it will be a breeze – the whole family can load books and we can take turns reading…that is, if I’m done with it! I can proudly say that I read a ENTIRE book on vacation, and even started a second book!! I continue to carry the Kobo Aura with me and whenever I have a moment, will power it up and read a few pages. 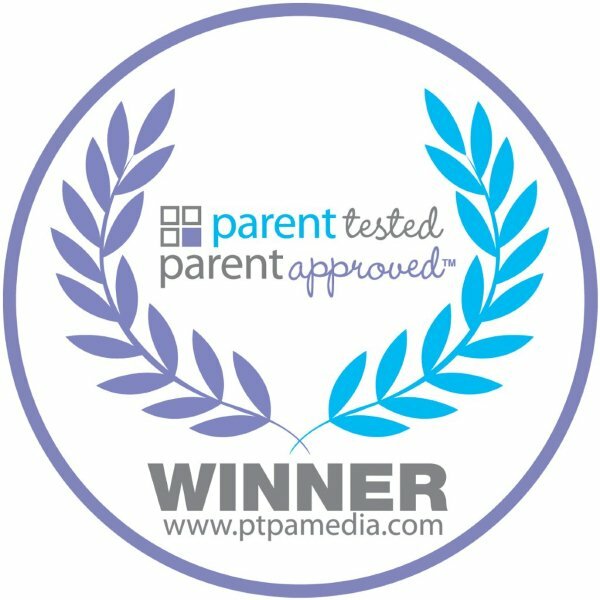 The Kobo Aura was recently awarded the PTPA Seal of Approval. And it definitely gets my two thumbs up!